Make way for the sniper of the season! 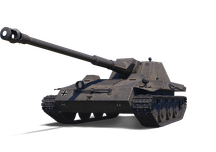 The brand-new Krupp-Steyr Waffentrager strikes with precision and power from a distance. Grab the final Advent Calendar vehicle -- the enemy won't know what hit 'em!